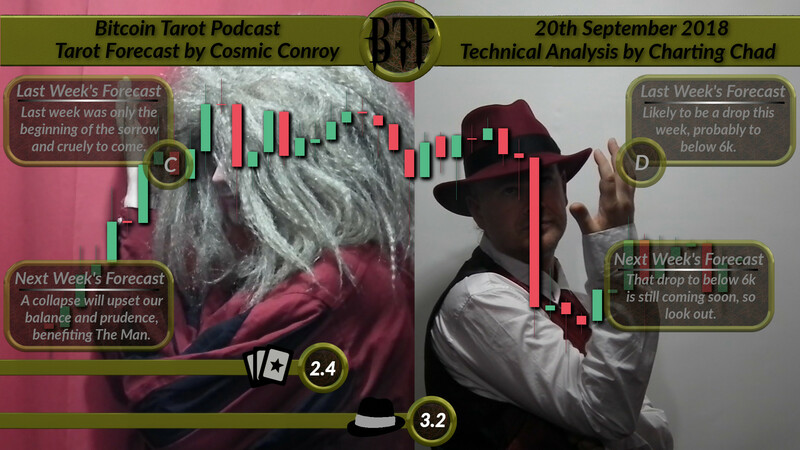 The Tarot cards catch up on the Technical Analysis some this week as the judges find the less precise forecast also the least wrong. Are the judges quite mad? Is that really reasonable? How will Chad take the news and what will the price of Bitcoin do over the next seven days? And come to that, is Technical Analysis any better than the Tarot at predicting prices? [TA-Synopsis] That drop to below 6k is still coming soon, so look out.